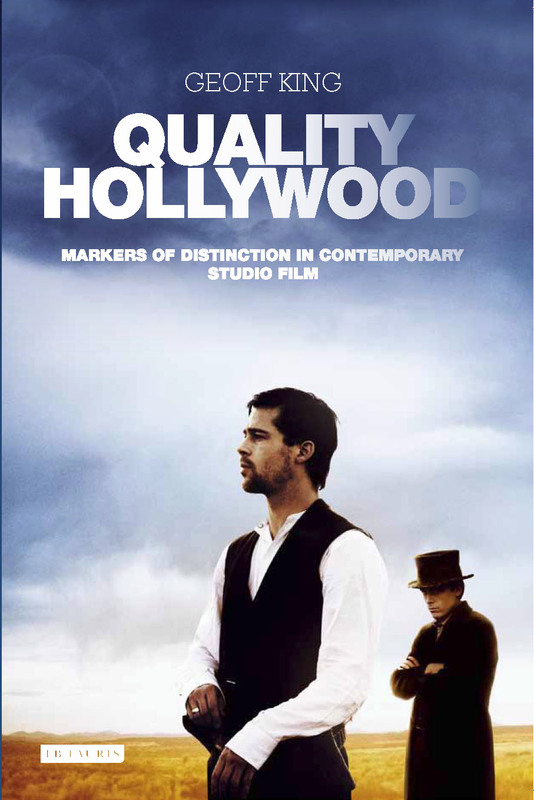 The final cover has now been agreed for my new book, Quality Hollywood: Markers of Distinction in Contemporary Studio Film, which of course necessitates a plug! Will update when it hits the shops, which shouldn’t be too far away. Below is the cover blurb. A slightly longer and more personal description of the book is available on its new entry in the list of my works in these pages, here. What defines ‘quality’ in contemporary Hollywood film? Although often seen as inhospitable to such work, the studios of the blockbuster-franchise era continue to produce features that make claims to higher status. Films such as The Social Network, The Assassination of Jesse James and Mystic River are marked as distinctive from the mainstream norm. But how exactly, and how are such qualities mixed with more familiar Hollywood ingredients, as found in larger doses in other examples such as Blood Diamond and the blockbuster-scale Inception? Quality Hollywood is the first book to address these issues, featuring close analysis of case study films, critical responses and the wider notions of cultural value on which these draw. Geoff King argues that such films retain a presence as a minority strand of studio output. The reasons for this combine factors relating to economics, the power of certain filmmakers and Hollywood’s investment in its own prestige. With Quality Hollywood, Geoff King provides yet another astute assessment of contemporary cinema and contemporary culture. In incisive case studies of films such as Inception and The Social Network, King demonstrates how issues of authorship, style and storytelling still matter – and how quality filmmaking has somehow persisted – in the current age of formulaic blockbusters and dumbed-down billion-dollar franchises.